What's it been like working to set up this year's event? I was selected as general chair three years ago, just after SC09. Obviously, the first thing I did was recruit the volunteer team. We have a group of nearly 500 volunteers now who have helped to make the conference a success. 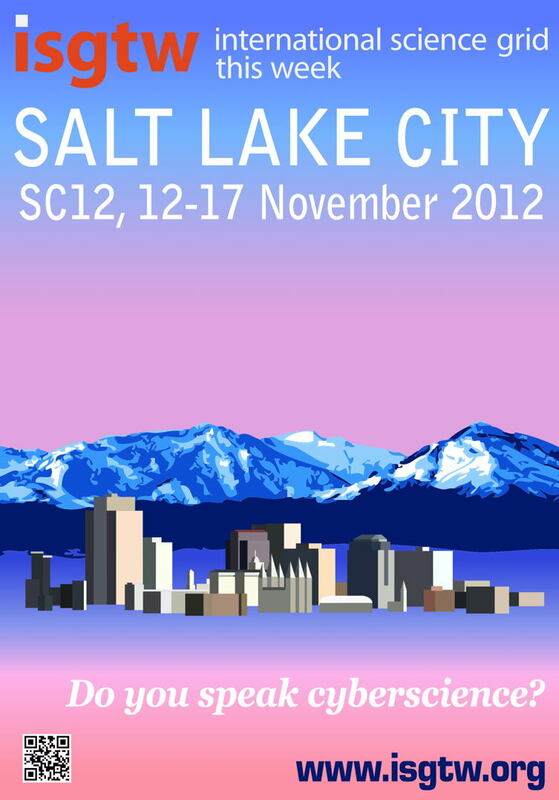 Also, this is the first time that we've been to Salt Lake City. SC is a complex conference, so you have lots of planning meetings to explain the conference and you have to bring everything in that makes it possible to do SCinet, including bringing several miles of new fibre through the city to get enough bandwidth into the convention center. So, lots of long-term planning, lots of logistics. So much has to happen, there's lots of planning which has to go into setting up exhibition booths, organizing papers and the technical program. All of this starts in earnest a year before the conference and reaches a peak in around June. It continues on through October and then we all get here and hope it all comes together. So, you mentioned SCinet, the network which has been set up to enable all of the HPC demonstrations to take place this week. Is it fair to say that putting this in place was probably the biggest challenge you faced in organizing the conference? SCinet was definitely a big challenge. The first time you're in a new city, explaining to the folks that work in the convention center and in the city the magnitude of SCinet, what booths on the show floor, but the technical leadership of the Department of Energy is still clearly shown by the fact that that nearly 25% of the authors on the papers here come from Department of Energy laboratories. So, the Department of Energy is still very much represented, just in a different way. Of course, the Department of Energy has had big news today with Titan being named the world's fastest supercomputer on the biannual Top 500 list. How do you feel about this being announced during the conference? The announcement of the Top 500 is always one of the highlights of the conference. It's exciting to have a new number one, but it's also exciting that this year is the 40th time the Top 500 list is out - so we've had 20 years of Top 500 now. To celebrate this, there's actually going to be an exhibit booth on the show floor looking back at all the machines that have been number one over the years. So, looking at today's new Top 500 list, it's clear that the US is still dominating. But, Asia - particularly China and Japan - isn't doing too badly either. With the competition getting tougher, is supercomputing now the new space race? I've heard that phrasing before and yes, I think there is some of that. If we look back at what was the space race, it represented a way in which the goals of advancing our most advanced technology were presented to the population in a way that was easy to understand and the idea that a friendly - or not so friendly - competition could accelerate the way in which we move forward an important goal, namely science. In that regard, I think we're into a new 'space race' in high performance computing and it has the potential to accelerate the delivery of results. What we need to do is to really keep our focus on the science though and not the race itself - the race is just a metaphor for moving the science forward rapidly. Basically, as long as we keep our focus on better computers to get better science done, I think it is an excellent way to think of things. Do you see progress in HPC continuing to accelerate at the current, impressive rate over the next years then, or do you think we're likely to hit a power wall soon? In 20 or 30 years time, could we even end up looking back at our current time as the halcyon days of supercomputing? You look back to the late seventies and early eighties as the golden era of vector. For the five or so years after vectors had really dominated, people looked back very fondly and said those were the wonderful days. Now, I think people, at least for the most part, have come to be able to effectively use larger-scale parallelism, which was what was necessary to get past the vector bottlenecks of the earlier generations and people think that now is the golden era. I think we will see a similar point in the future with some substantial disruption in the technologies, caused by the power constraints. But, five or six years after we get through that we'll be in the next 'golden era'. The road to scientific progress is not a smooth one - if it were, it wouldn't be pushing the edge - but rather it's a series of plateaus, a major change, a few years of recovery and then moving forward. I think there are promising technologies out there which will get us past the power wall, but it will require major efforts from both software and hardware developers to make that work - just like the transition to higher levels of parallelism 20 years ago. Finally, getting back to this week's event, are there any other highlights that you're particularly looking forward to at SC12? Coming from a university, I obviously think that the technical papers being presented this week are a real highlight. We had the most papers ever submitted to an SC conference, with a very competitive selection process. I'm also pleased that we have integrated an element that was new last year called 'state of the practice' into the main technical program. This recognizes that part of what makes it exciting and makes it even possible to do high performance computing is not just what it takes to bring the hardware together, but also what it takes to bring the facility, the software and the team together, because it really is about that full, integrated effort. It's not just about blinking lights on machine room floors, it's about bringing everything together to do the science that really makes HPC exciting.